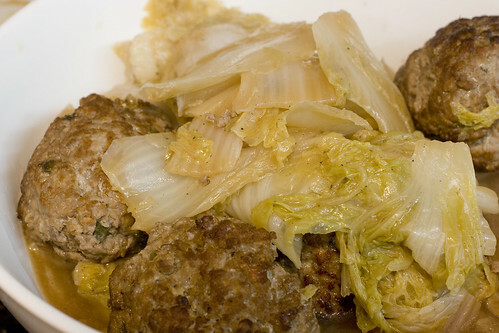 Lion’s Head Casserole is a simple dish of pork meatballs and napa cabbage. The meatballs supposedly look like lion’s heads, which is a stretch, I know, but that is the name. Last week, I wasn’t feeling that great and got in that I want my mommy mood. (Yes, I’m 30.) I whined and asked my mom to make me a pot of this umami-powered dish that feels so nurturing. It feels mommy-made. I took pictures and notes, not remembering that I already posted this dish over a year ago. I decided that it was worth re-posting for the new pics and some added thoughts. It’s interesting to compare the notes since my mom does not ever use recipes. It’s amazingly similar in making the meat mixture, but you’ll notice that you can vary the size of the meatballs if you want. I love Peking Duck, but who doesn’t. The combination of thin crisps of skin (like duck chips), the sweet hoisin sauce, and the soft warm wraps is irresistible. Just the thought can put me into a nice dreamy nap. 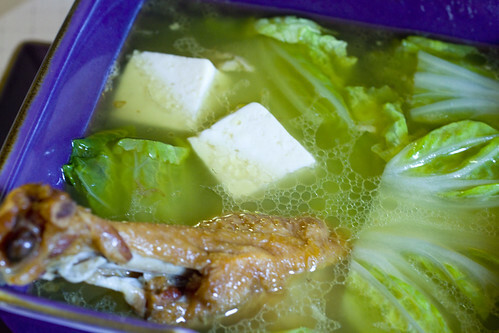 But, I also absolutely adore Peking Duck Soup. If you’ve had Peking Duck served at the table before, you’ve seen the way the chef make slices to maximize skin on each piece. It’s all about that glistening duck fat coated skin. Do you ever wonder what happens to the rest of that duck? 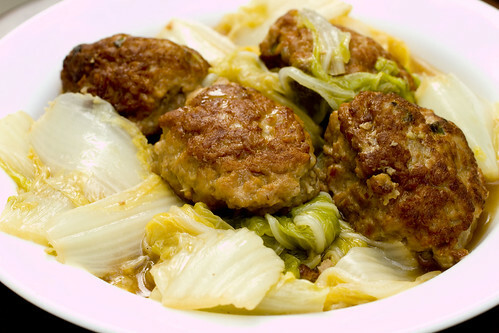 Lion’s Head Casserole is a traditional pork meatball dish that every Chinese kid is familiar with. It’s definitely Chinese comfort food. There are so many variations of this recipe out there from different regions and just varying family tradition. Most use some sort of filler, bread, breadcrumbs, or tofu, but my mom’s version doesn’t. She said that my brother and I preferred it this way as kids. She also says that if you use tofu, it must be eaten within two days or the meatballs will get a little sour. In any variation, this is a great make-ahead meal. I think it actually tastes better the next day.